Yes, that's right, Las Vegas foreclosure listings are free. You don't have to pay fees for lists or subscriptions. You can search yourself, or I'll gladly send them to your email, with your specific requirements and price range all updated as new listings are available, with no obligation. Why? Simply because I pay to have listings for my clients, and glad to share them. If you use them it will save money, and save both you and myself valuable time and a lot of aggravation. I've written about this before, but as the Las Vegas home market continues to heat up, so does the number of calls and emails I get for homes 'listed' on the Internet, that don't exist for sale, or at the price listed. Many come from foreclosure listing searches found all over the Internet. They offer teaser information, then may want you to register for a short trial, but then you must subscribe for a fee. Even after paying the price, the information can be somewhat limited. This is very similar to the auction lists that have been advertised for decades. Enticing prices on cars or foreclosed homes, and even when you pay for this seemingly 'privileged information', it's often sketchy at best. The Federal Trade Commission Bureau of Consumer Protection wrote an article in 2000 called "Auction Guides: Not So Hot Properties", and what is in it can be applied to these paid foreclosure lists, either online or through the mail. Here's some excerpts that apply. The same goes for foreclosed homes. Most well-maintained homes sell for close to their appraised value. The houses that sell for significantly lower prices often are in disrepair or in unstable communities. In addition, foreclosed homes are sold "as is." They don't come with warranties, and sellers aren't required to disclose any problems. Buyers, particularly those who don't pay for a professional home inspector before closing on the deal, may find themselves mired in unanticipated repair bills. The same is often true for online resale home listing searches, and some of those leave much to be desired. Let's face it, where do you think they get their information? Yes, it's from the local multiple listing service that your local agent has, with this information able to be passed along by agents as it's entered directly into their system. These other online sites often have lags in updating from all the local MLS databases around the country, so it's not unusual for them to have some incorrect or out of date information that can waste your time, and mine trying to find them when they don't exist for sale. Whatever part of the country, your local REALTOR® not only has these listings, chances are most of them offer their own online search where Bank Owned foreclosures are always included. There's no special or secret source. 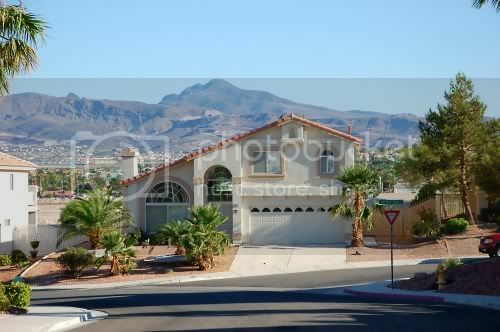 My searches for Las Vegas and the surrounding area are available at Search4LasVegasHomes.com, RobertaLarocca.com, and a zip code based search at my site hosted by the Greater Las Vegas Assn. of REALTORS®. You can browse at whatever one works best for you, and all you'd like. For FREE, it's on me! If you want a very detailed search, with even more individual property details and all pictures available from the actual listing source, all you have to do is contact me with your specific needs. Besides a multitude of home amenity choices and price, it can be sorted to an area, a master plan, subdivision, school zoning and a number of other criteria. Once I input your requirements, the foreclosure and any other listing types you chose are sent automatically to your email. You'll also notice the FTC mentions that foreclosures may have repair issues. That is normally true, but there are some in today's foreclosure crisis that are pristine, possibly never lived in and owned by 'investors' that were attempting to 'flip' the property. There are some that have had some restoration or cleanup performed. But yes, there are many that are in various states of distress. Every time I look at one it's a surprise, and price doesn't matter, it can be the same for homes well into the millions. Will it be immaculate, need some TLC, or is it destroyed and I hope I don't loose a shoe to the sticky carpet...if it's still in one piece? I usually don't know for sure until I walk in the door. This is why I strongly suggest avoiding 'Foreclosure Fever' and think that they are the only deals to be found. Again, as the FTC article mentions, foreclosures are sold AS-IS, and no disclosures are provided to buyers. They may need repairs for an additional expense out of your pocket, over and above your mortgage payment. Even with a home inspection, it's quite possible that a homeowner that was unable to pay their mortgage, and aware they were losing the home, may have passed on investing more for maintenance. Resale homes have to be very competitively priced if they are to sell in today's market. These homes offer disclosures, and the possibility to negotiate for repairs, something the banks are usually very reluctant to do. So It sure wouldn't hurt to look at all the deals that are available. It could cost you less in the long run. Now to be fair, real estate agents don't have some of the 'Pre-Foreclosure Listings', although they may have them as short sales. Those are owners that are typically in arrears that have listed their home below the amount they owe on their mortgage. For a short sale to go through, the lender or lenders all have to approve the sale. This can often be a lengthy process, from a few to many months of waiting, and may or may not end up as a completed sale. While a much better success rate than when the foreclosure issues first surfaced, it's not always a pleasant outcome. Even lawyers can have a signed short sale agreement and the bank still foreclose, as I told in my post on a Foreclosure Seminar by National Media Legal Analyst, Las Vegas Attorney Bob Massi. So what about the other pre-foreclosure listings? Well, those tend to add more confusion. These foreclosure sites harvest raw data from public sources, typically your local Recorder's Office where YOU can get that information. Unfortunately they may list ANY title action against a property, such as unpaid HOA fees or other title liens or transfers. That's why they often have more foreclosure actions listed than properties. With these pre-foreclosures you have some that won't actually be foreclosed. Owners may be able to refinance during a redemption period before the sale. Some may be able to work with their lender for a loan modification or a forbearance agreement. Those aren't sorted out from these paid lists. Now if you do find an actual pre-foreclosure, how will you handle that? You basically have 2 choices. Hunting down the property owners, that may or may not be residing in the home or wanting to chat with you, or you can follow through to the foreclosure sale, known as a Trustee Sale in Nevada. For the sale you'll also have to find the time and location it takes place, as they're published in legal notices. In either case you'll first have to find a home that has a value higher than what is owed to the lender. That can often be difficult today with the decline in home prices. Homes that have a fair amount of equity can often sell at a competitive market price and avoid foreclosure. You'll have to know valuations to determine if the price you'll pay is comparable to others in the market. You'd have to complete your due diligence on the property, including home inspections, which can be pretty difficult if the owner is absent. Otherwise you'll most likely have to bid without knowing the property's true condition. You'll also have to be prepared to satisfy any other title actions up until the last moment of the sale. Even banks have had the occasional IRS lien crop up after they've taken possession, so that becomes your risk if you win the bid. The complexities of pre-foreclosure buying is overwhelming for most, and why so many end up listed. I think you'll find that the majority of foreclosed home buyers purchase the Bank Owned REO's (Real Estate Owned) that you do find on the multilist. Contrary to what you may see on late-night infomercials offering foreclosure get rich quick 'systems', if it was easy and risk free everyone would be doing it. The other benefit with an REO in today's foreclosure heavy market, is the MLS listing price is often less than the amount of the Trustee Sale. The banks take the loss, writing the property down with mortgage insurance amounts when applicable, and sellable market value based on a real estate Broker Price Opinion (BPO) that will normally reflect any damage done to the property. In some cases the property may have also been cleaned, painted, new flooring, appliances replaced, and other repairs done. This can range from the home being anywhere from near to move-in ready, minimising additional cash-on-hand needed above the mortgage, closing, and moving expenses. Let me add a few other reasons why you should contact your local real estate agent. Even if you pay for a foreclosure list or subscription, you're still going to have to contact an agent to view or buy a bank owned foreclosure. By contacting one early on, you can possibly get some community insight, see their level of knowledge and customer service, and if they'll be right for you. That's much better than trying to track one down at the last minute to view and put in an offer. REALTORS® can also assist you with getting pre-qualified for a mortgage, so that you aren't wasting time looking too high or low. I often get calls asking to look in a range for the price of a home, but not what monthly payment price range they want to stay in. Until you know the amount and interest rate that you will qualify for, and allow for any additional expenses such as HOA or Master Plan fees and special assessments if they apply, it's nothing more than a guess. The reason we have today's foreclosure crisis is because thinking about affordability wasn't a priority, and I really prefer my clients don't have their new home end up on any foreclosure lists. I'm sure they appreciate my concern for them. I think these foreclosure listings are only concerned that you pay.